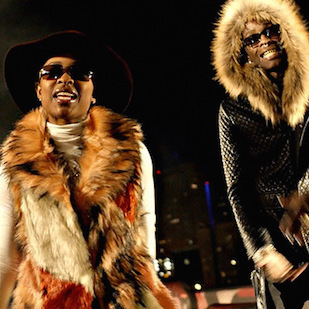 Young Thug’s hand gestures in the music video for Dej Loaf‘s latest single “Blood,” have upset Watts, California rapper Glasses Malone. Around the 3:49 mark of the visual, Thugga can be seen making the Crip sign with his right hand and waving his middle finger on his left. Yesterday (December 29), Thug responded to Malone’s grievances with two Instagram videos. In the second visual, Rich Gang‘s “War Ready” plays in the background while Birdman and others surround Thug. Malone has yet to respond to Thug’s apology.